Parliamentary Constituency name &MP are geographically matched to each Postcode in the UK. Royal Mail Licence Prices have Dropped. 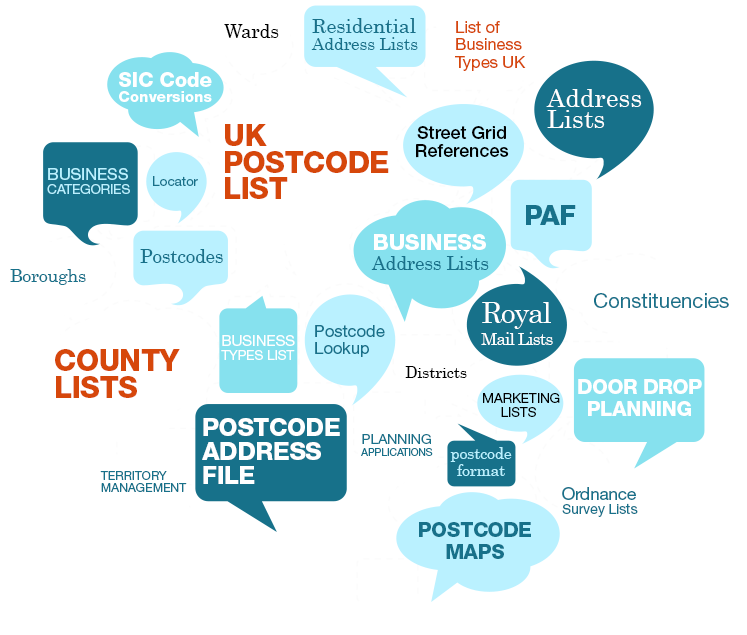 Every Mailing Address in the UK (Business and Residential) including quarterly updates. From 1st October 2011, Companies House will adopt the 2007 version of the UK SIC codes across their systems. The UK SIC (standard industrial classification) codes are used to classify company business activities. Companies House has been recording the 2003 version of the codes which are 4 digits. The latest classification (SIC 2007) will record new 5 digit codes. You can download the new system from our downloads page. Licensed by the Royal Mail and Ordnance Survey. 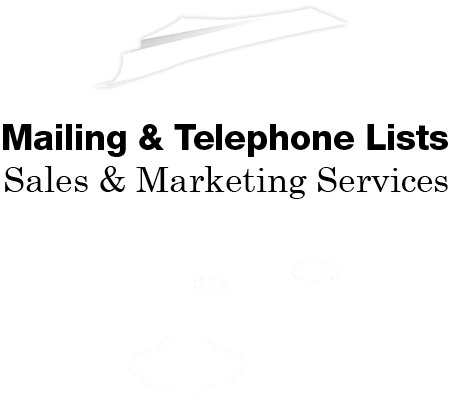 All Products are guaranteed to be up-to-date and accurate.